This vehicle was designed as a field truck to fight brush fires in remote or hard to reach areas. 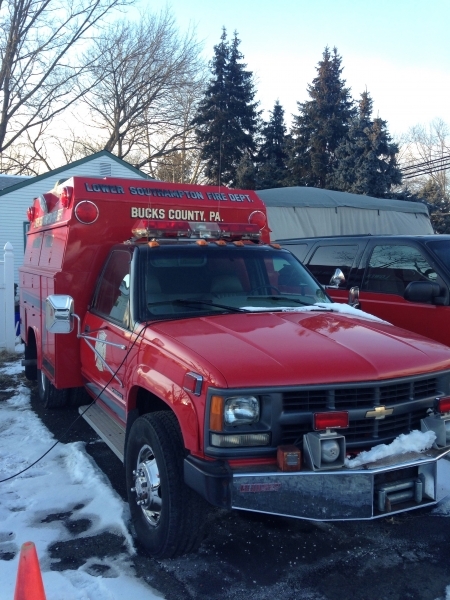 It carries 100 gallons of water and is equipped with a portable pump and hose reel. When the department has a water rescue call, this vehicle is used to tow the departments boats (Marine 6). It can carry 2 personnel to the scene. It was recently sold after several years of service with the department.